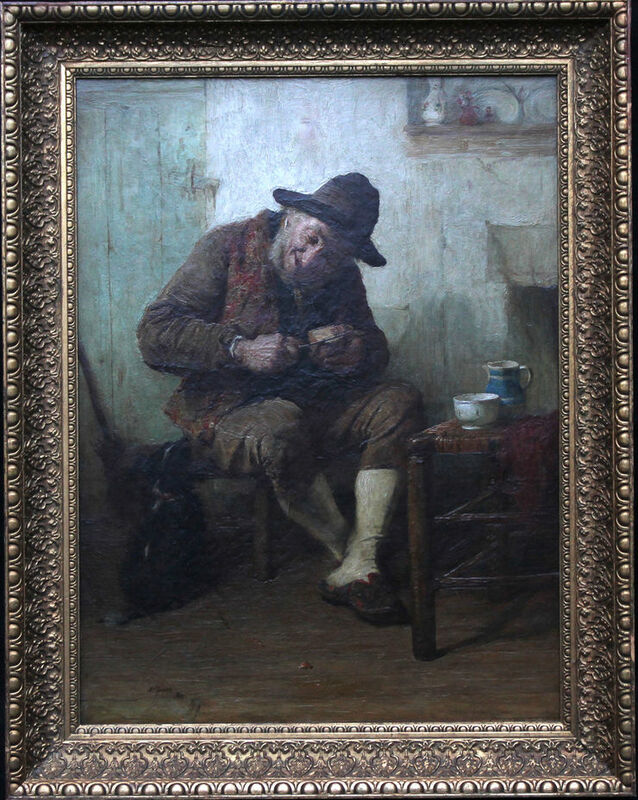 A fine oil on canvas by Scottish listed artist Alexander Hohenlohe Burr which dates to 1880. 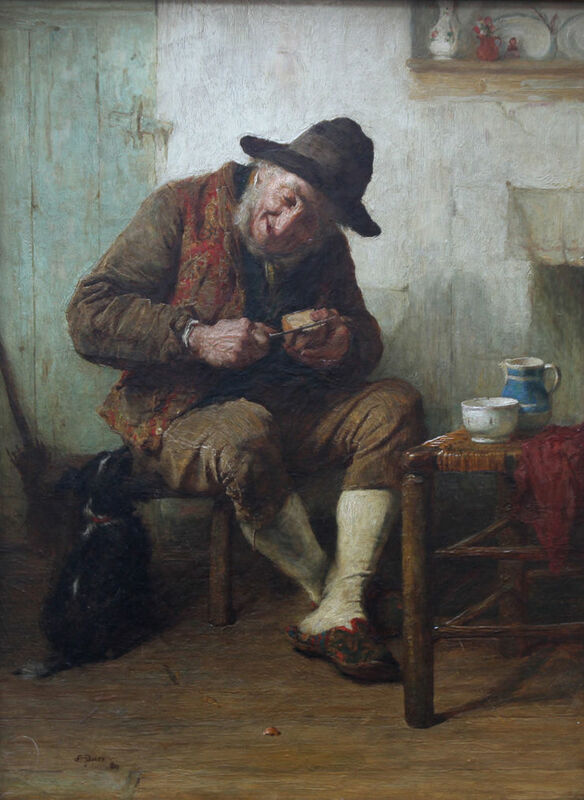 The work is a portrait genre scene of a man cutting his bread with the rapt attention of his dog and is titled Expectations. A super painting. The dog is transfixed and pleading. It would have my dinner every time. Signed lower middle and dated. Framed 30 inches by 24 inches. Alexander Hohenlohe Burr (1835-1899) was a historical and genre painter in oil. He studied under John Ballantyne in Edinburgh. During his career he exhibited his paintings in Gi (3) Liverpool (3), Manchester (2), Royal Academy (6), Royal Society of British Artists (5), ROI (10), Arthur Tooth (3).